Latvia had its third and last semi-final of the Eurovision selection Supernova 2018 tonight, with seven performances. 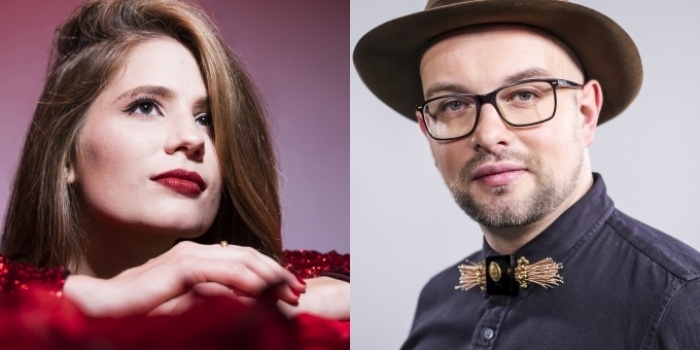 The public televoters of Latvia and a jury of music professionals chose Lauris Valters and Laura Rizzotto to qualify for the final. The winner of Supernova will represent Latvia at Eurovision Song Contest 2018 in Lisbon. Laura Rizzotto – "Funny Girl"
Lauris Valters – "Lovers Bliss"
Ed Rallidae – "What I Had with You"
Katrine Lukins – "Running Red Lights"
Kris & Oz – "Morning Flight"
Edgars Kreilis – "Younger Days"
Liene Greifāne– "Walk the Talk"
Markus Riva – "This Time"
In each semi-final there were seven songs competing, and two qualified to the final via a combination of votes from a jury of music professionals and the Latvian public. Latvia 2012: Anmary - "Beautiful Song"
Latvia debuted in Eurovision Song Contest in 2000, and since then, the country has participated every year (18 times) in the contest. The best result was in 2002, where Latvia won Eurovision Song Contest with the song "I Wanna" by Marie N.